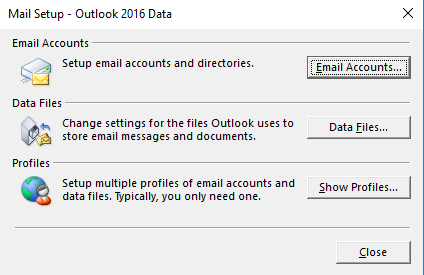 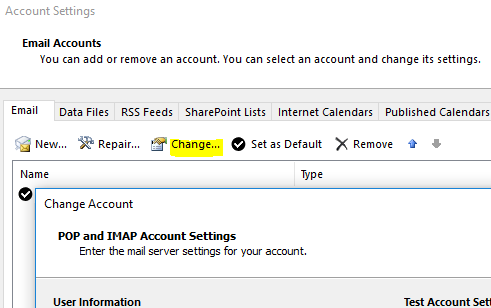 In previous Outlook version, after we select the type of email account, we could manually input the server name, port, display name, email address etc on our own. 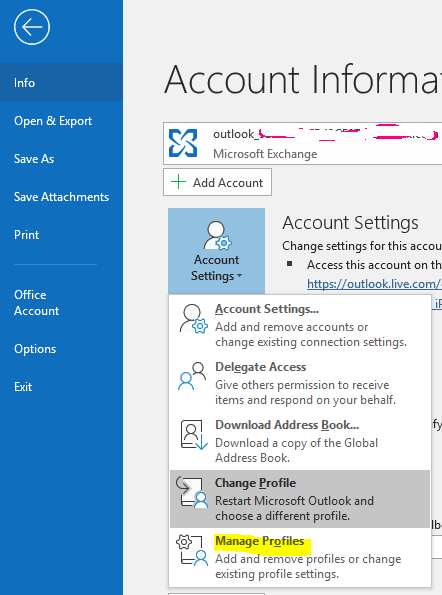 File -> Account Settings -> Manage Profiles -> Click <Email Accounts> -> highlight the account -> Change. 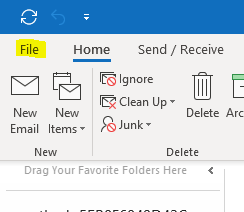 The above is the same as opening the Control Panel <Mail> app.